Mr. 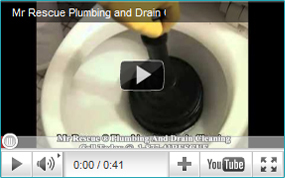 Rescue Plumbing & Drain Cleaning Trenchless technology, as the name implies, stands for subsurface construction works where less trenches or no continuous trenches are required to be dug. 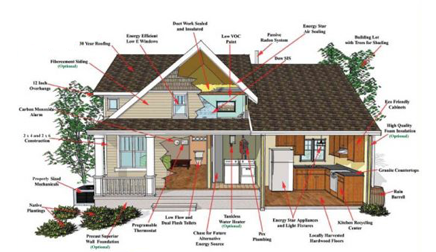 It is a rapidly growing sector of the construction and civil engineering industry. It can be defined as "A family of methods, materials, and equipment capable of being used for the installation of new or replacement or rehabilitation of existing underground infrastructure with minimal disruption to surface traffic, business, and other activities." Mr. 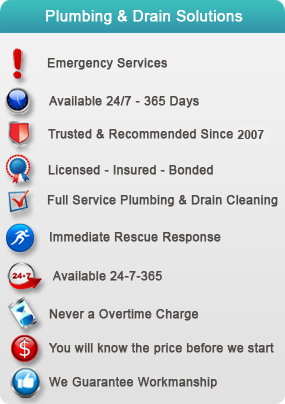 Rescue Plumbing & Drain Cleaning offers Trenchless Technology in which is the best for replacing old, leaky, cracked or clogged sewer lines, water lines and gas lines. 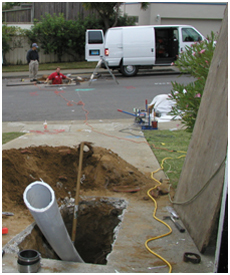 In the past, digging out and replacement sewer line – water liens and gas lines was very messy, time consuming and expensive way. But thanks to Mr. Rescue Plumbers because now gardens, lawns, sidewalks, driveways and other landscaping elements remain undisturbed throughout the process of replacing the entire system. When the term is used it means to repair or replace without trenching. The Mr. 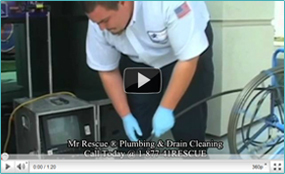 Rescue Plumbing & Drain Cleaning Trenchless technology is the today's technology that uses to replace - repair and fix the sewer - water and gas lines. Now let's face the reality. 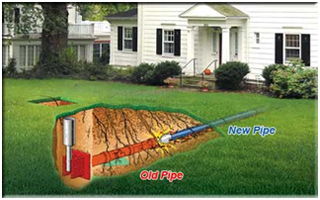 Sewer line replacement is not something that anyone looks forward too. It's often a messy and expensive proposition - but it doesn't have to be. Get instant $350 off on any Mr. 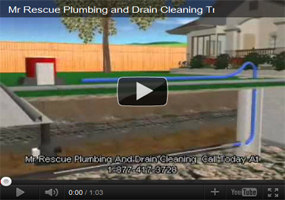 Rescue Plumbing & Drain Cleaning Trenchless Sewer – Water – Gas or Drain lines. Save time save money call Mr. Rescue Plumbing & Drain Cleaning Today.